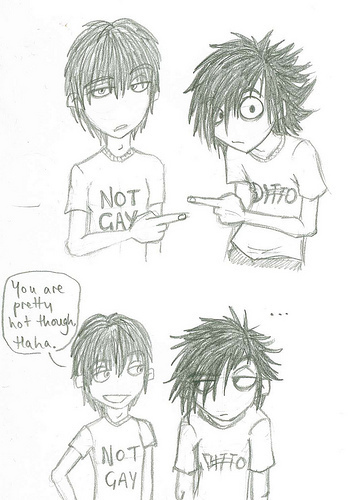 l and Light arn't gay. just kidding of course they are. Wallpaper and background images in the 死亡笔记 club tagged: death note death note l light funny.